Golden Gate Park is one of San Francisco’s greatest treasures. Nearly twenty percent larger than Central Park in New York City, you will discover gardens, playgrounds, lakes, picnic groves and great activities. In Golden Gate Park you can find a lot of hidden gems, such as the de Young Museum, the Conservatory of Flowers, Hippie Hill, Stow Lake… You will always find something interesting to do in Golden Gate Park! Families and friends love to reunite in this park to have BBQ at the nearby picnic area. 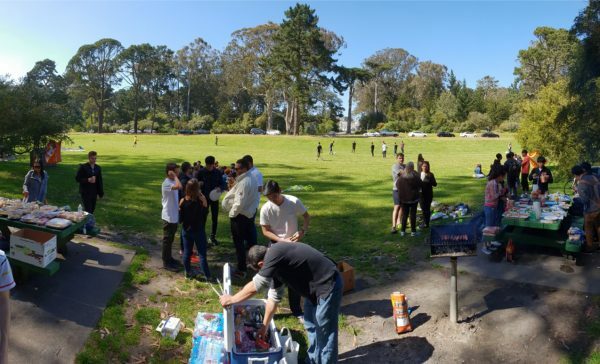 On May 11th, EC San Francisco organized a big BBQ in Lindley Meadow, which is a grand green picnic area inside Golden Gate Park. More than seventy students were part of the event! Our center director Ryan was the BBQ chef and cooked delicious burgers and hot dogs for everyone. We were very lucky to have a windless and very sunny weather this afternoon! The students enjoyed the BBQ eating, chatting, and playing activities such as volleyball, baseball, soccer and Frisbee. We all had such a fun time together! We can learn a lot from doing activities outside of school. Let’s join our EC San Francisco activities! 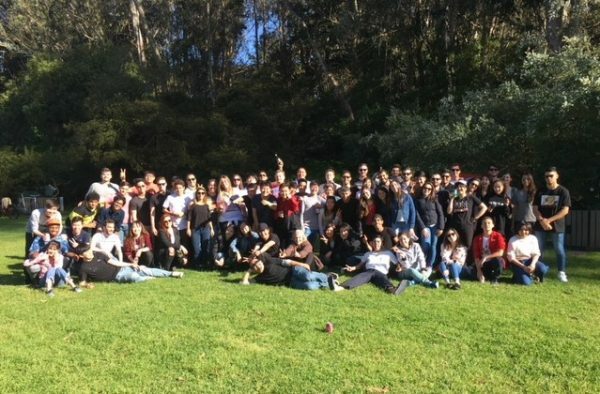 Are you interested in studying in San Francisco? Check out our EC San Francisco ESL Courses!